Good afternoon everyone! I hope you are all having a wonderful weekend! 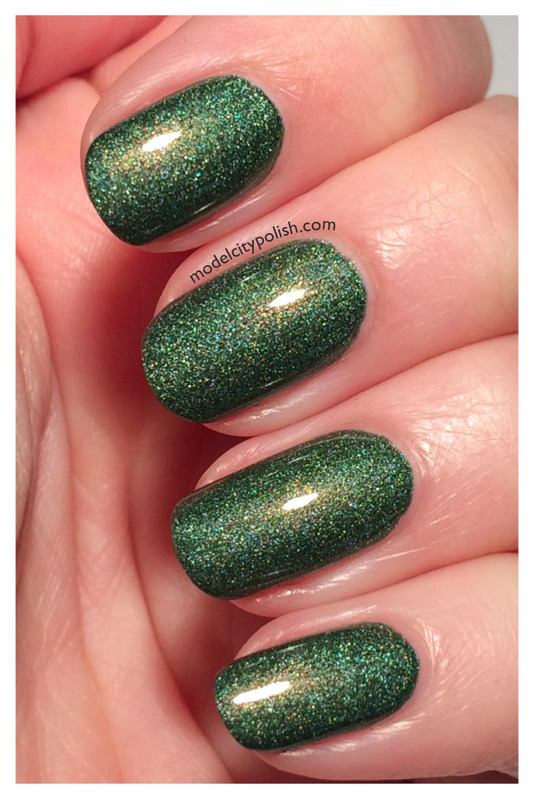 Today I have another great beauty to share that is a fabulous color and a great option for those in a hurry. 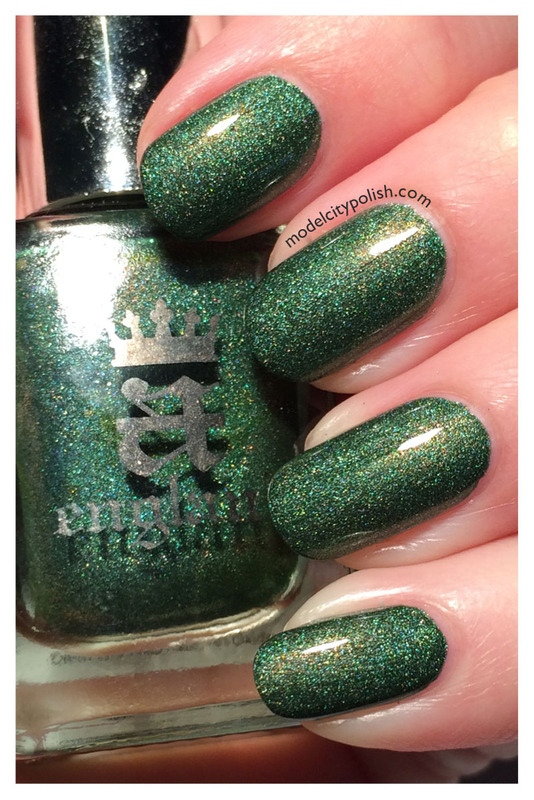 a england is one of my favorite indies out there and it is mostly because their blends are simple, elegant, and amazing formula. 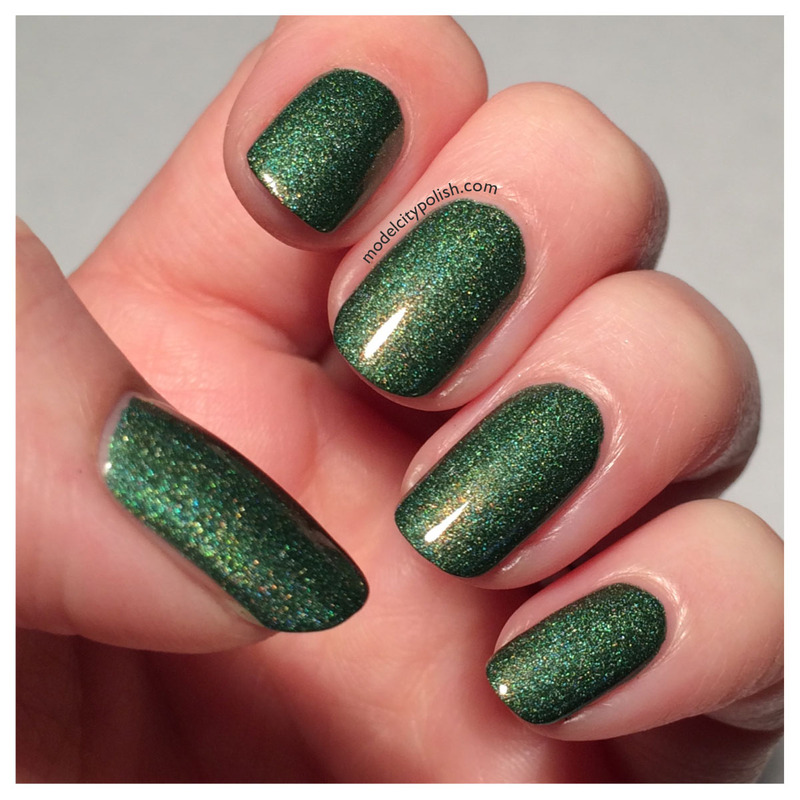 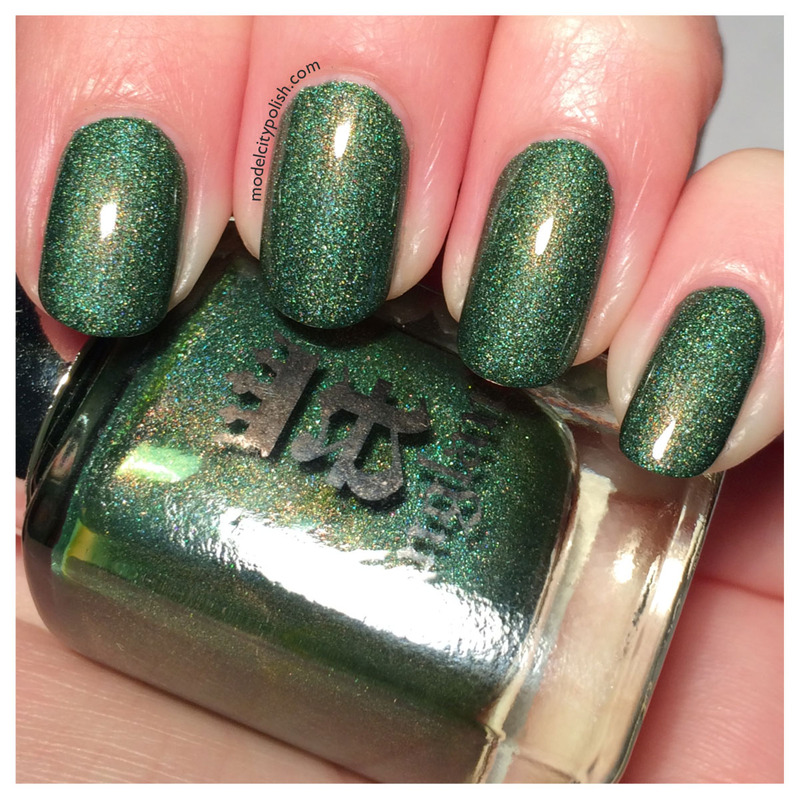 Dragon is mossy green blend with scattered holographic pigment. 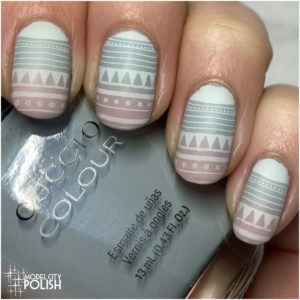 The color is very rich and application stunning. 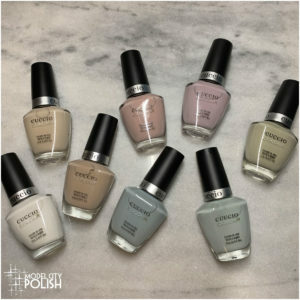 In my photos I am wearing just two coats and no top coat. 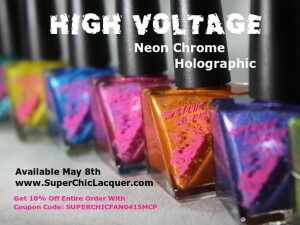 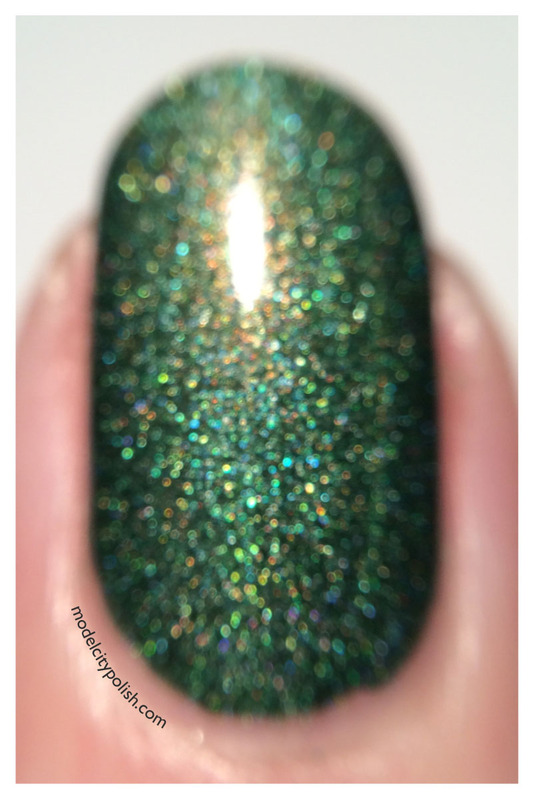 The last photo is out of focus to show the pretty holo pigmint.